Sometimes I miss Washington. Very pretty there. I agree, it is very pretty here. And the sunny days are a rare cherished thing, rather than a burden. 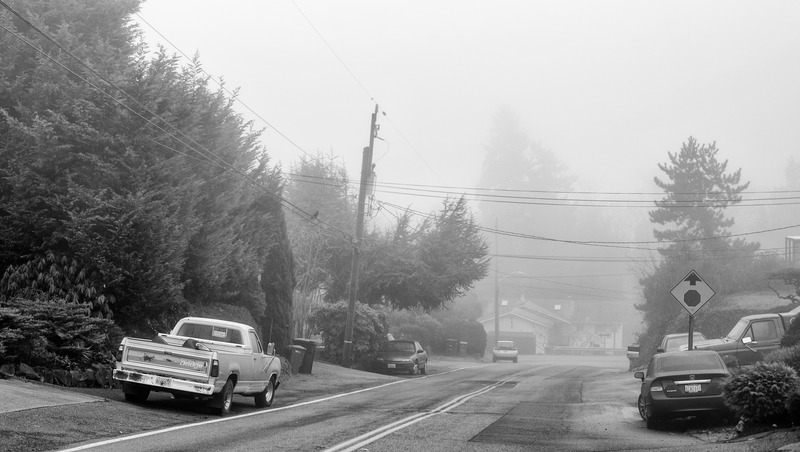 The next few pictures are from January this year and shows what winter fog in Seattle looks like. This first picture is from outside chez McLaughlan looking south on the street our home is on. If you would like to see a full version of this picture please click here.